This cabin is now on permanent exhibition in the spectacular Smithsonian National Air and Space Museum Center at Dulles Airport. Click here to learn more. 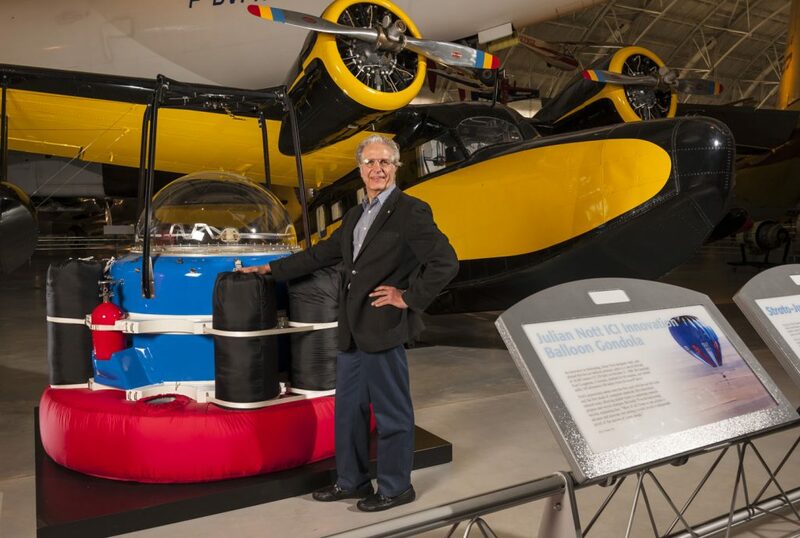 Nott designs & builds the world’s second pressurized cabin for a hot air balloon, & pilots it to 55,134 feet from Longmont, Colorado. Text and illustration of flight as seen in Rolex advertisement. Nothing inspires a world record holder more than the capture of his world record. It happened to Julian Nott. 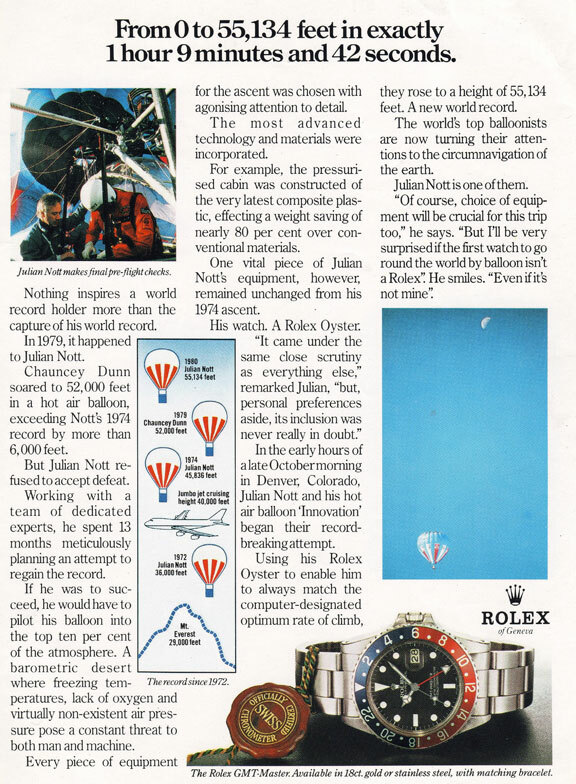 Chauncey Dunn soared to 52,000 feet in a hot air balloon, exceeding Nott’s previous record by more than 6,000 feet. But Julian Nott refused to accept defeat. Working with a team of dedicated experts, he spends months meticulously planning an attempt to regain the record. To succeed, he would have to pilot his balloon into the atmosphere’s top ten per cent. A barometric desert where freezing temperatures, lack of oxygen and virtually nonexistent air pressure pose a constant threat to man and machine. Every piece of equipment for the ascent was chosen with agonizing attention to detail. At sunrise on a late October morning in Denver, Julian Nott and his hot air balloon, “ICI Innovation,” began their record-breaking ascent. 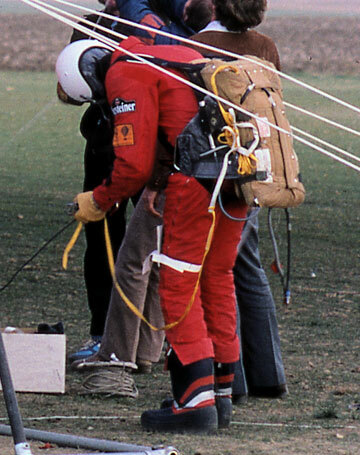 Using his Rolex Oyster to maintain the computer designated optimum climb rate, they rose to 55,134 feet. A new world record.